Enhance the power of your Camaro V6 by letting it breathe freely. Eliminate the restrictions of the factory exhaust system that are robbing you valuable power and torque by replacing them with this 3" XP series Exhaust for Camaro V6 from MBRP. Manufactured in a variety of materials to suit your budget and style, MBRP's Cat-Back Exhaust features mandrel bent tubing for a 20% increase in flow, resulting in increased horsepower and torque. 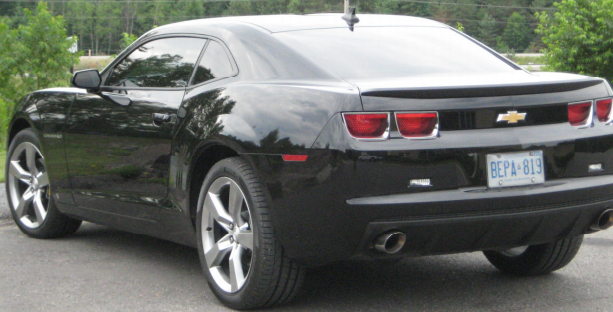 Enhance the power of your Chevrolet Camaro V6 by letting it breathe freely. Eliminate the restrictions of the factory exhaust system that are robbing you valuable power and torque by replacing them with this 3" Cat-Back Exhaust for Camaro V6 from MBRP, offering classic muscle car sound. 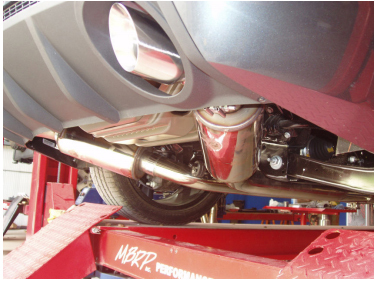 Manufactured in a variety of materials to suit your budget and style, MBRP's Cat-Back Exhaust features mandrel bent tubing for a 20% increase in flow, resulting in increased horsepower and torque, offering a muscular, aggressive exhaust tone. Featuring dual 4" Stainless Dual Exit exhaust tips, this system looks as good as it sounds. Interested in ordering some MBRP Upgrades for your Camaro V6? Call ModBargains at 714-582-3330 to talk to one of our Chevrolet-specialty Modification Experts today!